Kick start your next build. It is kind of an odd time to be building a new PC with Ryzen right around the corner, though if you can't wait to see how things shake out and need to piece together a new rig now, there are some deals to be found. One of them is a combo offer on Newegg. The combo bundles an AMD FX-8320 processor (8-core, 3.5GHz to 4GHz, 8MB L3 cache) with a Gigabyte GA-990FXA-UD3 R5 motherboard and 8GB of HyperX Fury DDR3-1600 RAM for $262. There is also a $25 mail-in-rebate available (for the motherboard) that brings the price down to $237. 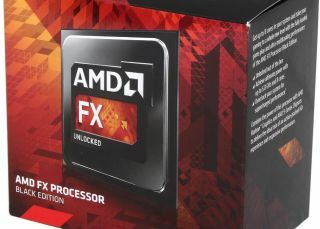 AMD normally sells this bundle for $301. Today it's a 'Shell Shocker' deal. You can take advantage of it by going here.